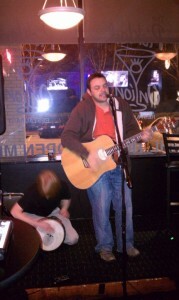 Anthony has been playing acoustic shows for over 10 years in various cities including Boston, Key West, and Raleigh. Currently in Raleigh, NC he brings a unique percussive acoustic style and plays all of today’s top hits. With a great combination of Alternative, Rock, Pop, and Hip-Hop songs he continually new excitement to each venue.